The motorcycle community has an odd way of remembering bikes. In every segment, amongst all generations, there are key bikes that hold space in people’s memories. No matter what happens or how good bikes become, they never get forgotten. 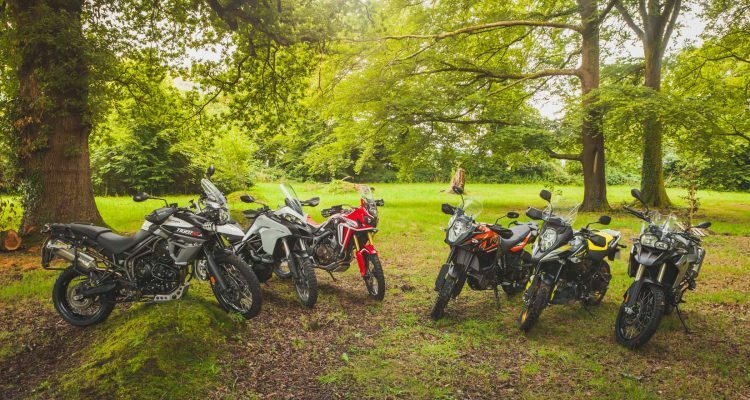 The Africa Twin and the original Ténére are perhaps two of those examples. For many people, the KTM 990/950 series as such a bike. Some even go as far as to say it’s the best off-road ADV bike made. 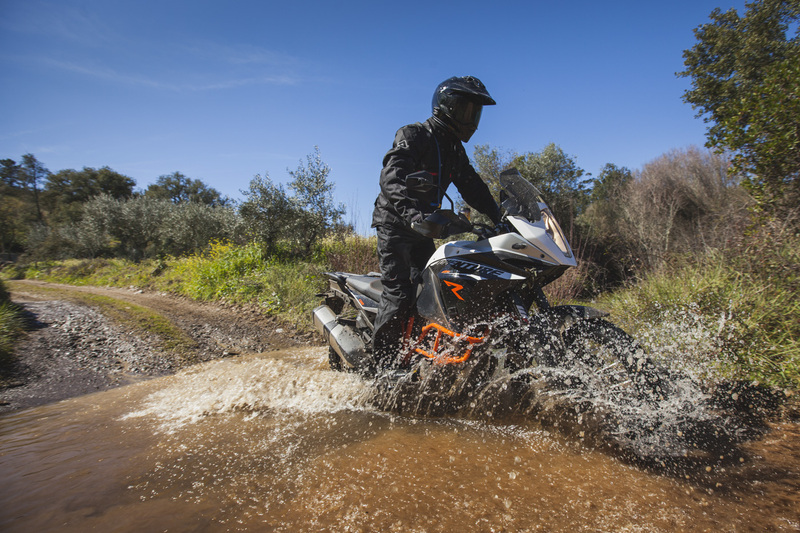 When the KTM 1190 Adventure R was released it’s off-road ability was heralded, yet the 990 is still held as the legend. Something about all of that doesn’t seem quite right. 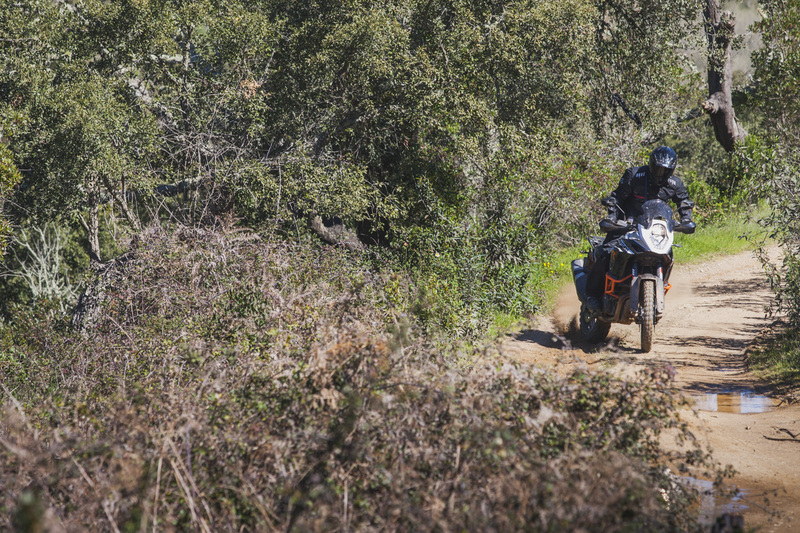 We took an 1190 Adventure R, fitted some Mitas E10’s and headed to Southern Portugal with a three man test crew to see if years of development made a better bike. When the 1190 came to market in 2013 it was a huge step for the Austrian brand. 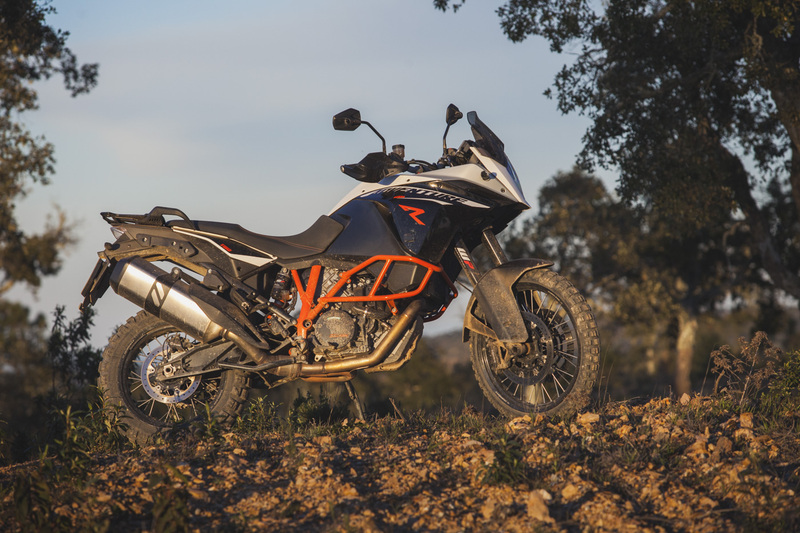 Technologically advanced, obscenely powered and clearly biased toward off-road riding, on paper it was the model line that bought KTM to forefront of the market. They were here to take BMW’s crown. The latter hasn’t yet happened and the GS is still a ridiculous seller, but huge strides have been made. The spec sheet for the 1190 R makes for interesting reading. It’s firmly nestled at the bigger end of he spectrum with some big numbers, tipping the scales at 212kg’s dry (plus 21 litres of fuel), with 220mm of suspension travel and a seat height of 890mm. It’s almost as heavy as the indomitable BMW 1200 GSA. Add in the 148hp and the whole thing on paper at least, is a beastly bike. Where KTM really came out swinging however was in the electronics department and the refinement of their presentation. The Austrian brand were notoriously a little sketchy in these departments. The 990 was widely accepted as having frustrating fuelling, especially around the throttle roll-on point. Like every other brand in the world at that point, ABS was a quick way to end up in hospital on the dirt and traction control was a myth. KTM came in with an explosion. The 1190 was entirely different to anything the Austrians had produced before. 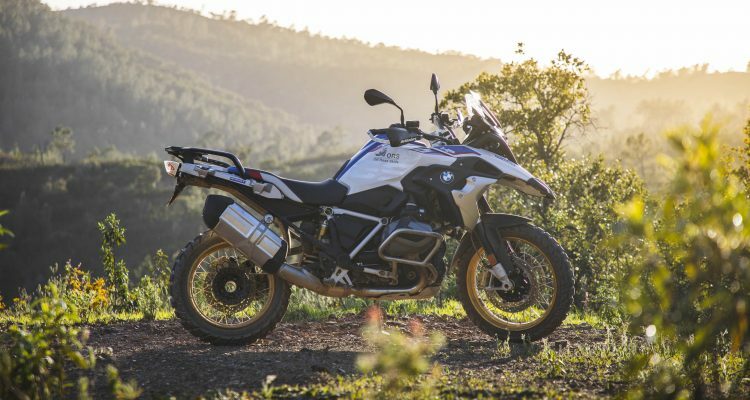 Fly-by-wire throttle, adjustable suspension, advanced multi-setting ABS, Traction Control (MSC) that supposedly worked off-road, EFI that was no longer glitchy and finish worthy of the price tag drove many to claim a GS killer had arrived. that’d blow everyone away by building the ultimate big bike for dirt riding adventure seekers. Since it’s launch in ’13 the bike hasn’t changed a great deal. 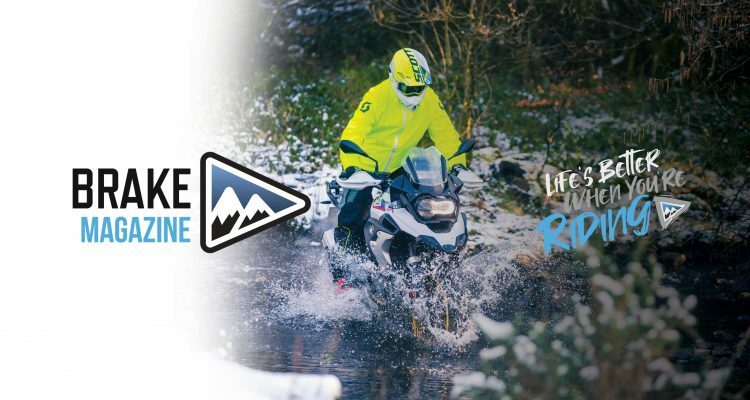 The unbelievably good 1290 Super Adventure and the calmer 1050 Adventure were launched to cover a few more market bases, all while the Adventure ticked along. The big question is, does it deserve the crown of best off-road? The 1190 marked a turning point in KTM’s motorcycle ideology. For the first time they’d recognised the need for improved road performance and so decided to provide two very different models, one constructed with a clear tarmac bias and one with a focussed off-road head. 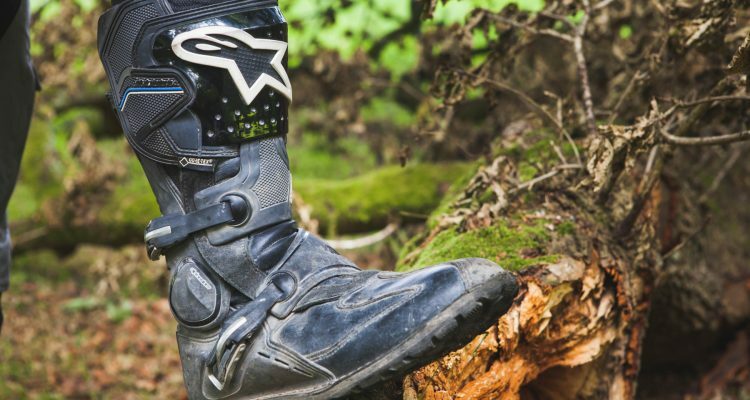 Everything about the 1190 Adventure R points toward the dirt. On road it feels confused and a little out of touch but honestly, none of us were surprised. On road was a challenging ride. The engine is crazily fast. Running sweeping tarmac roads is a challenging process on the R. It’s not bad on tarmac but at no point is it great. It’s a touch wallowy, tall and your connection with the ground is vague. The front end feels far away, twitchy and doesn’t inspire huge amounts of confidence. Holding a smooth line through corners is a tough task, requiring concentration and a propensity for smooth riding. Some of this is related to the long travel traditional style suspension. Adding a few turns of preload to the shock helped balance the bike out and made cornering a little easier, but the challenging road handling has deeper roots. The large diameter wheels won’t be helping either, but the ridiculous amount of power the engine has combines with the above elements to make something a touch wild on tarmac. 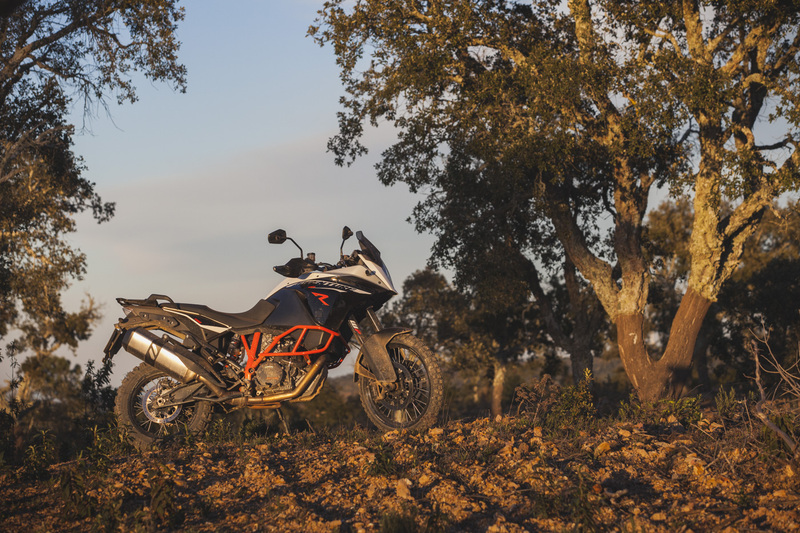 It’s a character trait that doesn’t befall the non-R version of the 1190 Adventure or rival bikes such as the 1200 GS, or those fitted with semi-active suspension. A large part of that crazy feeling is related to the engine. 148HP is a lot, regardless of bike. It’s the same amount as a GSX-R 750 and on the chassis in question it really helps tie the bike in knots. 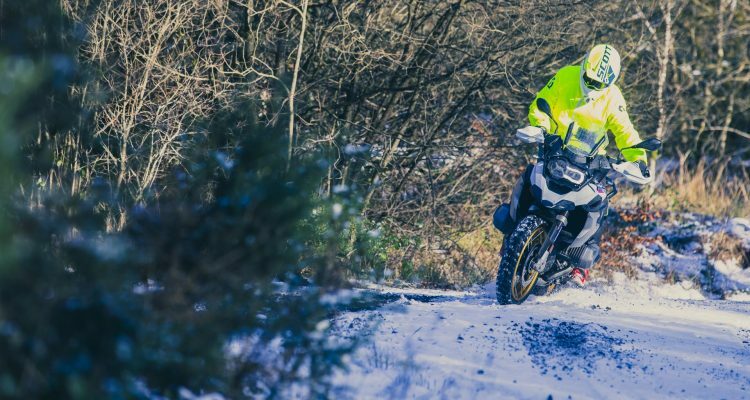 The brutal truth is that quite often you find yourself going far too fast for your skill level, the chassis or the tyres to manage comfortably and thus a huge amount of time on the roads were spent keeping the beast in check. It quickly asks for more grip and feeling than the tyres have and is very easy to make the rear wheel slide coming out of corners. 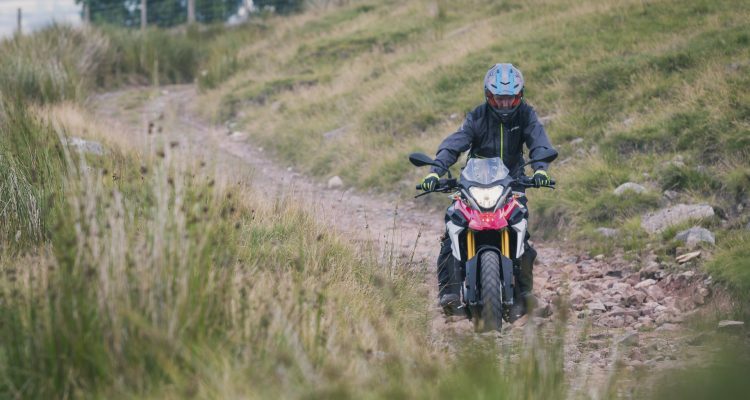 A gentle wind on of the throttle will see the 1190 R at ridiculous speeds before you realise and the off-road friendly setup of the chassis isn’t best placed to make dealing with the speed an easy proposition. The obvious answer to that statement is ride slower but the 1190 R doesn’t encourage this because it finds a way to build speed so rapidly. It rolls on with relative calm before reaching a step, at which point the surrounding flora becomes a blur. The on road and off-road character is very different. It’s an incredibly intense position to find yourself in. Often the riding is sensory overload. You can always tone down the speed at which you attempt to ride but really, something isn’t quite right. However, that isn’t necessarily a negative thing. For many an exciting ride is a great ride, but for the purposes of travel and adventure it could be calmer. On the whole the engine is fantastic. It’s stupendously powerful and characterful but the delivery is far from linear. In the mid-range you’ll find a noticeable step in the delivery. While not being anywhere near as brutal, it harks back to a two-stroke era powerband. It’s not a negative trait, but it is very much present. That said, the Mitas E10’s we fitted, for all their wonderful off-road capabilities are also found wanting on the tarmac. It is somewhat doubtful however, that you would look to the Adventure R as a road bike. Doing so would entirely be a mistake and when the trail turns rough the 1190 R comes to life. 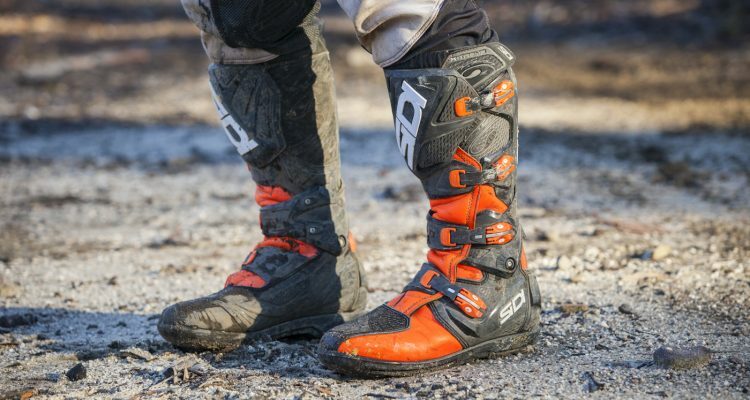 On the dirt the 1190 R has a vastly different personality. 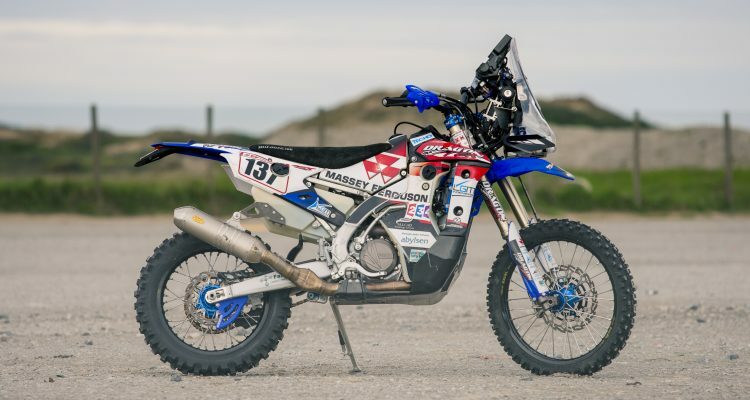 Switching the mode to Enduro lowers the power to 100HP and alters a host of other electronic settings, including ABS and Traction Control, to optimise performance on the dirt. As a result the frantic, confused nature flips on its head and the chassis/engine package make far more sense. The bikes is one of the most precise large capacity ADV machines ever made. It’s a bold statement but the mobility of the machine is incredible. Placing the front wheel is very easy and so single track, ruts and technical terrain can be charged hard. Changing lines has never been easier and paints a slightly terrified smile on your face. The suspension also comes into its own off-road. While not quite perfect, the performance is often far better than it has any right to be and holds up to big impacts and high speed way beyond the point other bikes throw out danger warnings. Despite your freedom to pick and choose great lines, that often becomes irrelevant and smashing through bumps and rocks is a stable and confidence inspiring endeavour. The shock is the star of the show here, especially with a little extra preload added. It deals with almost everything in a calm and controlled manner, soaking hits, avoiding the dreaded swap and leading you into pushing the speed at all times. At this point the fork needs a little more refinement in its setting. Things are touch too soft and lack a little damping control with a tendency to blow through the stroke and bottom out. The manually adjustable clickers improved performance as we upped the compression damping but it needed more time to find a better setting. 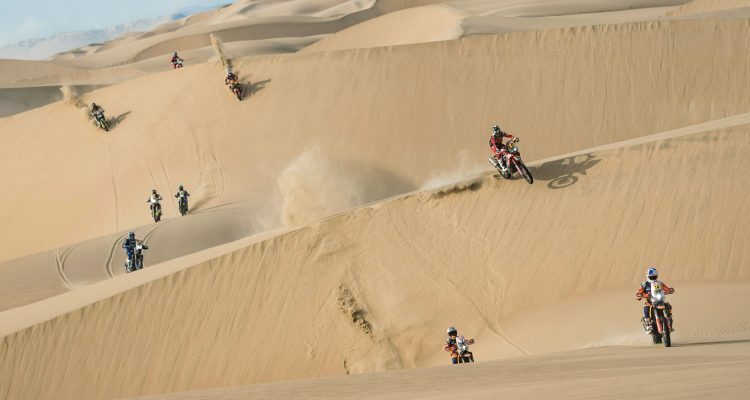 The 1190 encourages you too push on the dirt. The engine is also something that’ll take time to get the best from. At the very bottom of the power it was easy to find good grip and crawl up loose terrain. It’s also a difficult bike to stall. The beautifully light throttle and clutch help with the control of that delivery, however the raspy and powerful nature of the V-Twin made it easy to rev the bike too much for the quantity of grip available. Making sure you always use the correct amount of throttle is something that required more than the three days we had on the 1190. 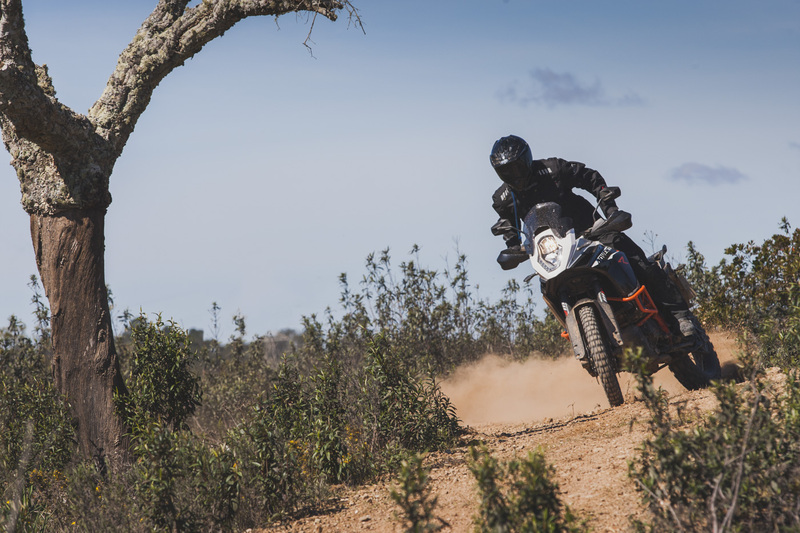 It isn’t a bike that’ll mollycoddle you or flatter abilities in the way other bikes may but the more you can give the KTM, the more it’ll give back. 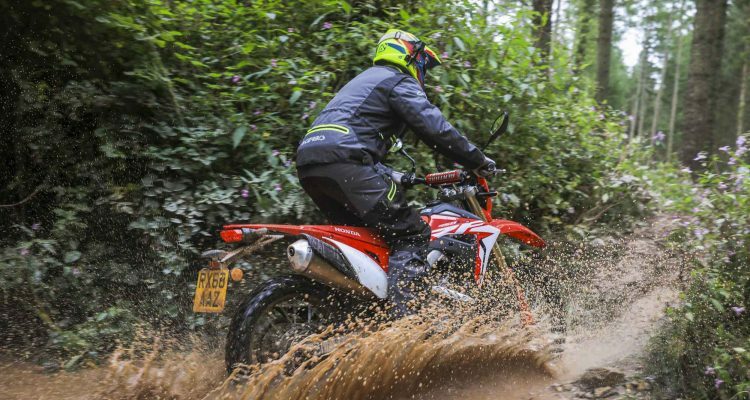 Its trait of dealing with the terrain thrown at it did encourage you to ride at speed somewhat beyond each person’s ability and as it did on the road, the 1190R would leave you travelling at a far higher speed than expected. Essentially it lulled all of the test team into over riding by being too damn good. We often found ourselves forgetting that it’s a 220+kg bike and when it reminds you it’s scary. 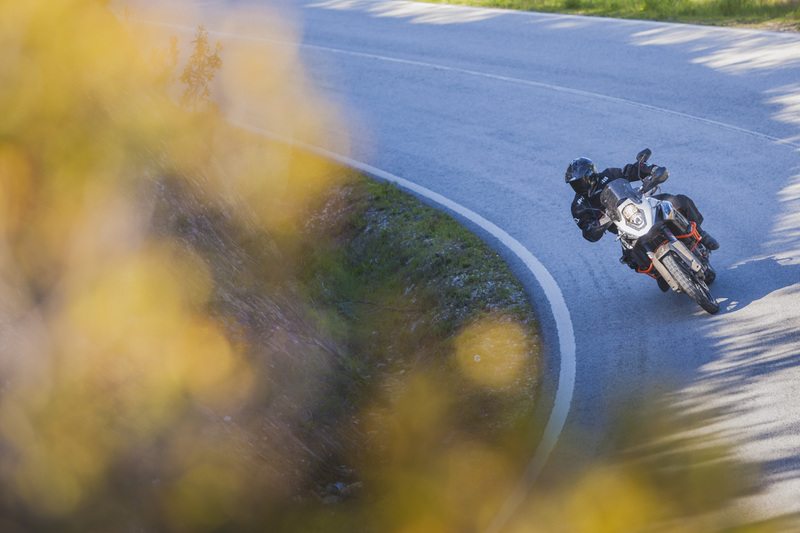 The major hick-up with the 1190R is that at no point is it novice friendly. 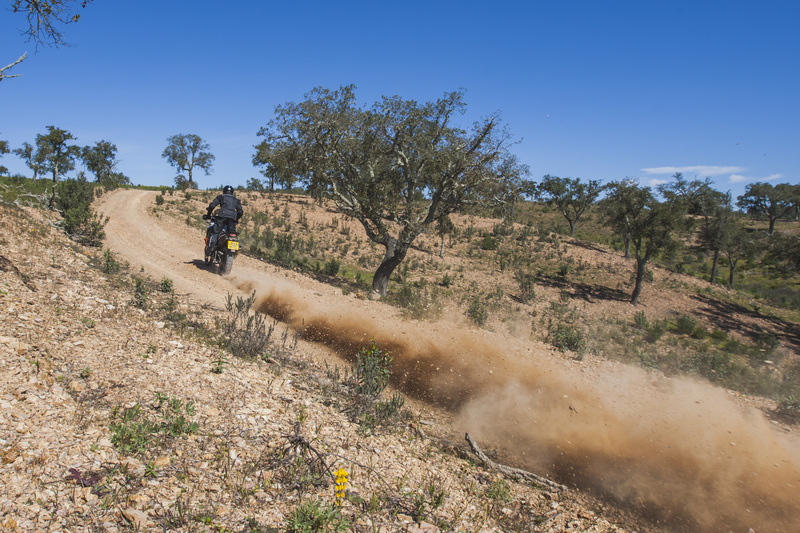 The better you are off-road, the better you’ll find the bike. 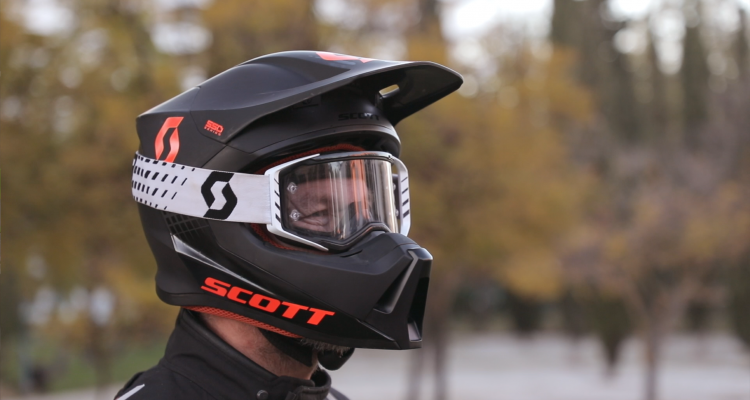 The more control you have and the faster you want to ride the better its behaviour is. On the flip side, if you’re newer to off-road the KTM can feel top heavy and ungainly. The steering lock is a little less than it should be and it caught us out a couple of times. The seat height is also very tall and options of in built adjustment aren’t there. 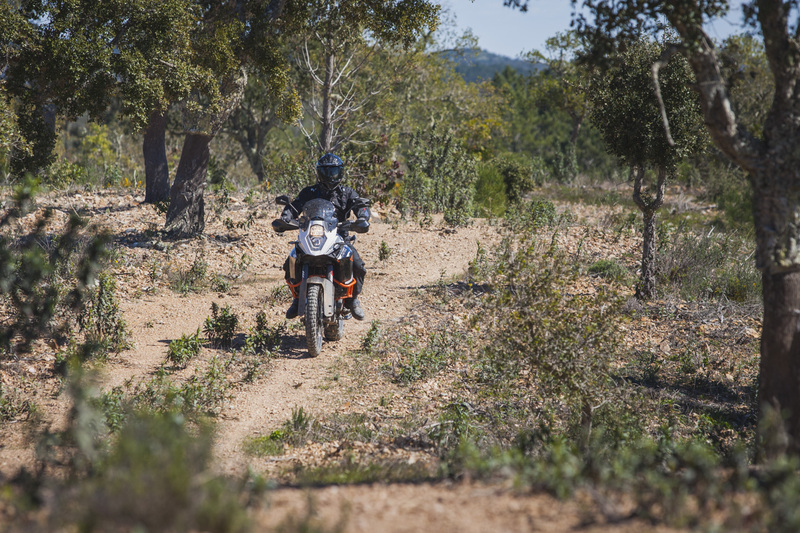 When the 1190 series and BMW’s current generation of 1200 GS hit the market the electronics were lauded for their off-road competence. Three years on and the 1190’s electronics still impress. The ABS is effective and while it can be out-ridden, for the majority of riding it’s bang on. If the envelope is pushed you’ll find the limit but even i that situation it doesn’t panic or act like simpler and older ABS systems. 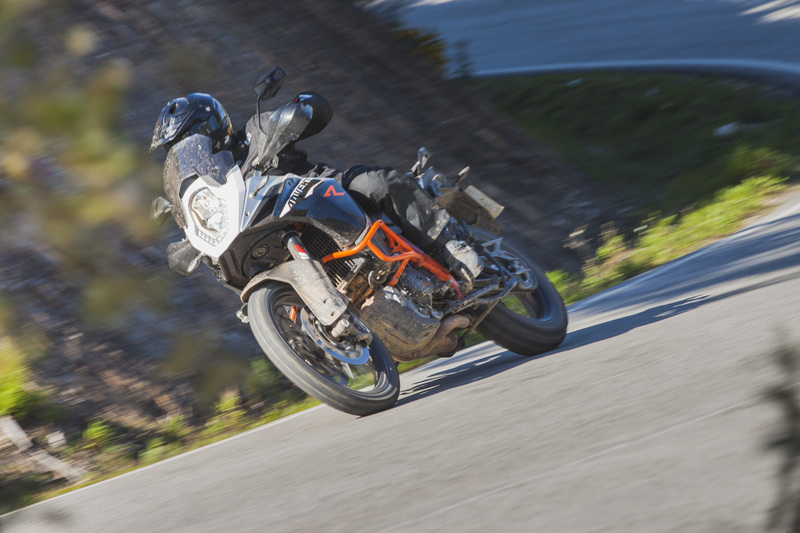 In this price range of bike, the days of ABS that induced fear and panic on a regular basis are gone and KTM’s system is on a par with BMW’s. 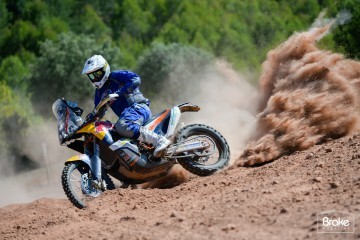 The KTM rips the ground up. The Traction Control is on a level playing field with the ABS and performs admirably. With the 1190 R it has its work cut out, especially on tarmac where the bike has bucket loads of power that it’s attempting to put on the ground. It does so in a silky smooth fashion. When the power is cut its almost unnoticeable and as such it’s genuinely useful. 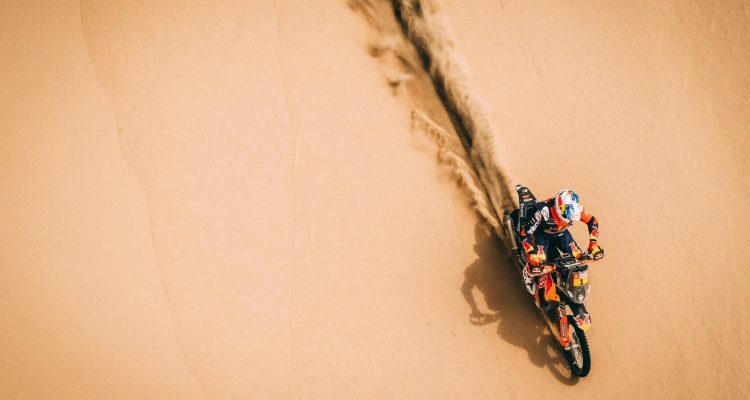 On dirt it can translate into the bike feeling like it’s missing drive that you’d expect to be present but that is down to the KTM’s incredible torque attempting to rip the earth in half, rather than an electronic failing. It’s only once we switched the aids off that it became apparent just how much drive the KTM is trying to generate. 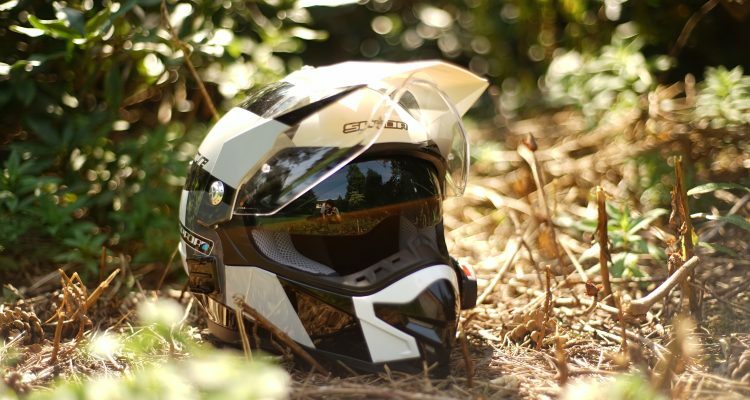 It’s a very similar setup found on the BMW GS, the new Ducati Multistrada Enduro and the KTM 1290 Super Adventure. 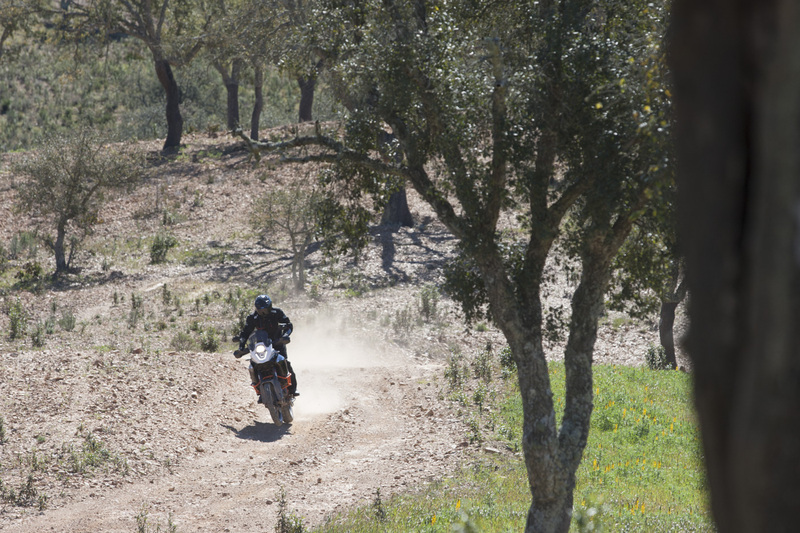 There is no negativity to either system; electronics are in a golden age and on the KTM they perform fantastically. The details of a bike can make or break the ownership experience. Thankfully for KTM they are generally in a good place. The throttle and clutch are extremely light, smooth feeling controls. The brakes on the 1190 are also very powerful. The front feels wooden and takes some getting used to but it works very effectively. The translation between the front wheel and the brake feels removed but the more we rode the more we grew into it. The LCD electronic menu is generally easy to figure out and navigate, with the changing of Modes and ABS/Traction Control controlled via the little computer. The five button direction pad is used for navigation and on the whole it’s a nice system. The biggest downside is the requirement to regularly have to change the electronic aids back and forth when switching the key off. It’d be lovely to be able to have a user setting as per the Ducati or BMW’s. The front screen is also small. On road it lacks much in the way of wind protection and isn’t adjustable either. It means off-road it’s unseen and never a hindrance at which point you have to weigh up your desires. The stock handlebars leave a lot to be desired. They possess an overly swept back, odd feeling bend that made the riding position feel more cramped than it should. The quest for a bar that works on and off-road continues, but unfortunately for KTM, this isn’t it. We’d all have preferred something a touch straighter and in a further forward position. Its far from a deal breaker and handlebars are very personal. 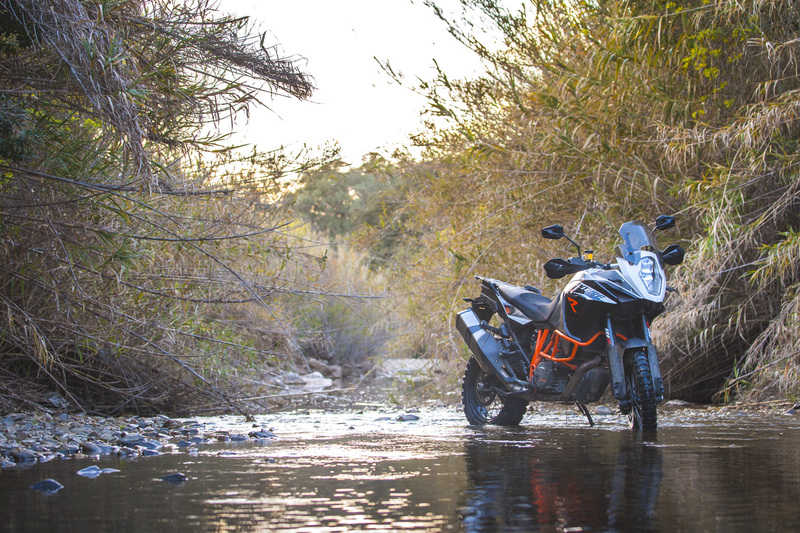 The KTM 1190 Adventure R is a very divisive motorcycle. 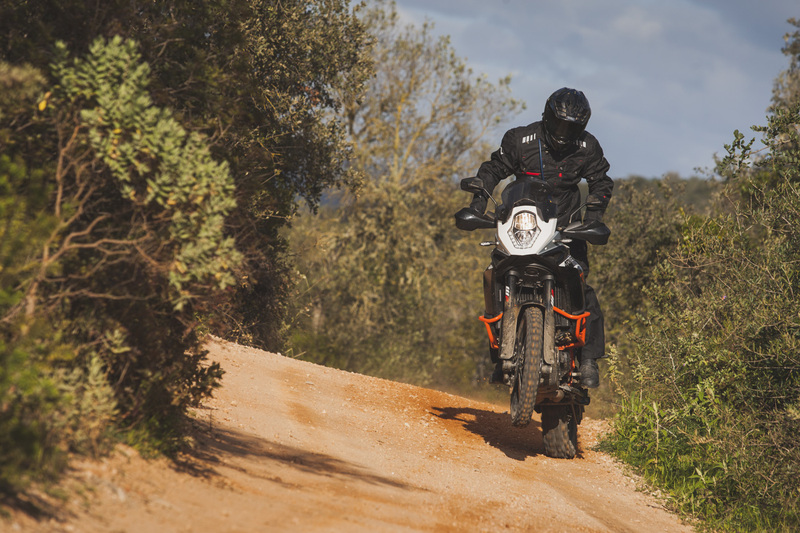 On road the performance is a little wayward and far from the best in class but ultimately that’s not what KTM built it for. They built it for shredding dirt miles and making smiles. Do we love it? YES. It’s utterly mental in every way. Crazy fast, stupidly capable and outrageously fun. 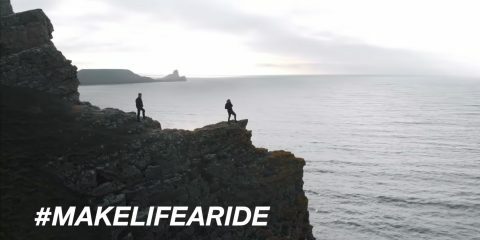 It’s a bike built for people who have a good level of off-road skills and want to ride in the places others simply don’t. 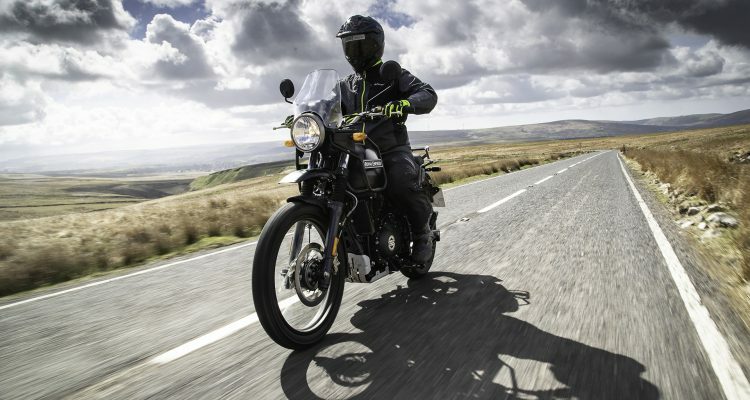 It’s the brash teenage cousin of the more sensible, older, further refined 1290 Super Adventure. For that reason, it’s brilliant but with brilliance comes some caveats. 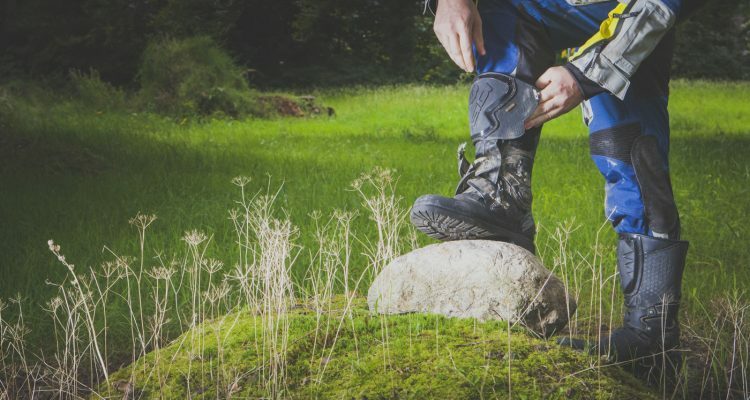 If this is your first foray into the world of off-road riding then we couldn’t recommend you walk in another direction fast enough. It’s not going to inspire confidence or cuddle you around your first dirt roads. It’s not going to help you ride around town and improve on the tarmac but if you’ve got this far and not written it off then you’ll love everything the 1190 R has to offer. It’s a gorgeous unrefined bike with a unique, lively character. It’s not the perfect bike, not even close but the elements in which it excels, it does so well you’ll never lose your grin. 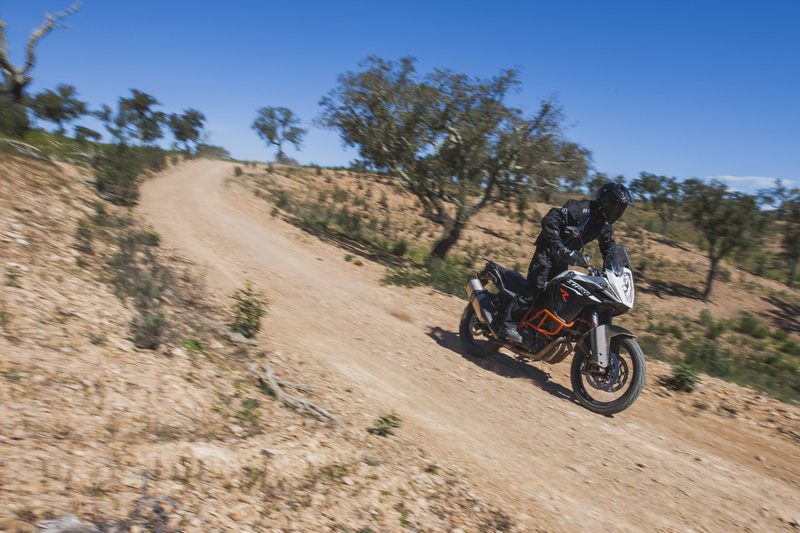 The KTM is a fantastic bike if it fits your style of riding. Just don’t expect it be friendly to a novice. Does it work as an adventure bike? The clean answer is yes. Again it all comes down to the owners predisposition toward technical riding. If I were aiming to do as much travel in difficult riding as possible it’d be a bike that would sit near the top of the list, mated with lightweight soft panniers, as few extra’s as possible and some pain killers to stop your cheeks aching from the excess grinning. The problems we find with the 1190R are also a huge nod to the work of the development of bikes in the segment over the last six years. 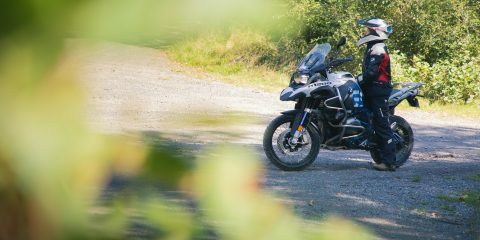 The struggles it has on the tarmac are only really highlighted because models like the R 1200GS, the 1290 Super Enduro, the Multistrada or the Aprillia Caponord perform so well on the black top and that is a fantastic problem to have. 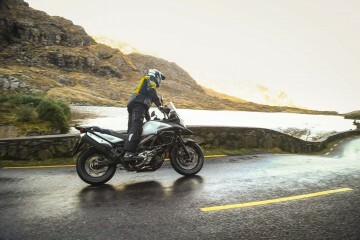 Oh, and the 1190 Adventure R is a far better bike than the 990. Driveline: 5/8 x 5/16  X Ring. Primary drive: 40:76. 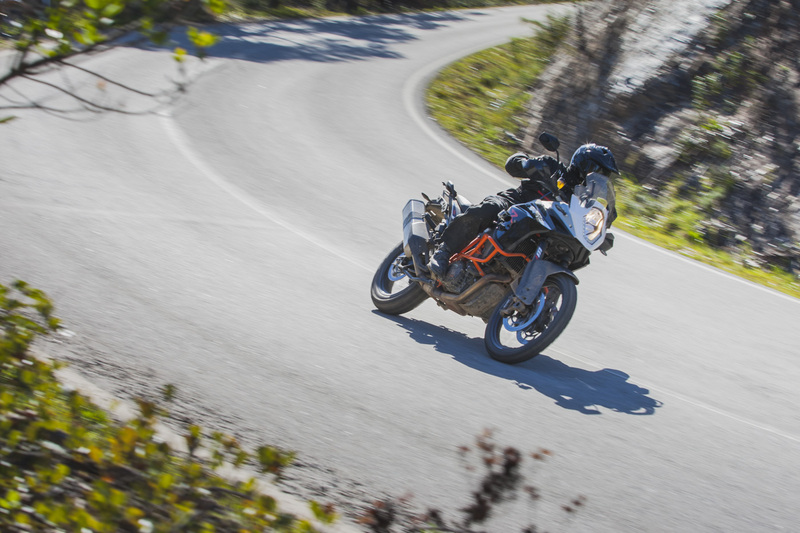 For more information on the KTM 1190R click here. 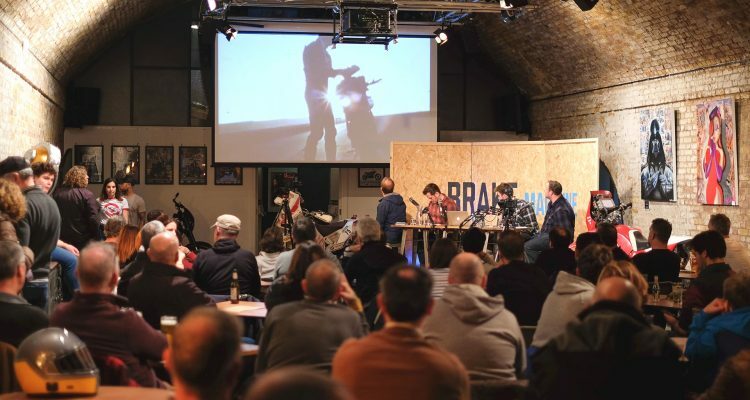 10 Dakar Rallies, tens of thousands of kilometres adventure riding all across the globe and a world famous training school. Si Pavey doesn't need much more said about him. 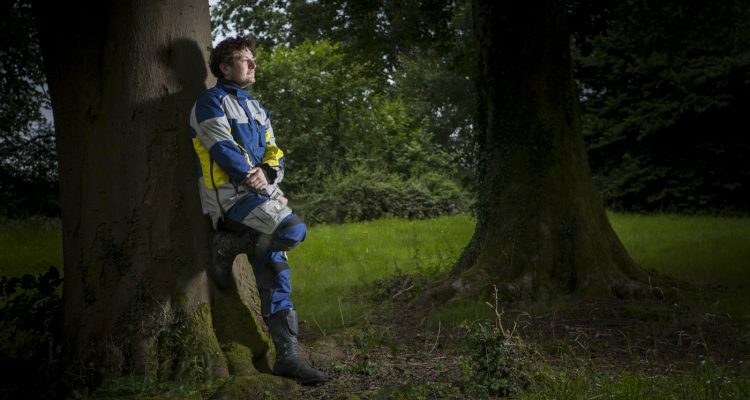 A fantastic rider, with a brilliant understanding of the requirements for learning riders. A fantastic bike that shines best off road.